Can cities and the regions surrounding them drive rapid, transformative sustainable change? The kind of change we need to see to help prevent runaway climate change and live happily within the Earth’s means? I’m convinced of it. I’m also convinced that Oxfordshire, with its already inspiring environmental scene, is the perfect testbed for a city-region approach to sustainability. So, I’m really excited that Oxfordshire, where I am based, is one of the partners in Bioregional’s One Planet Cities Project. We are one of four city-regions across the globe to be creating a shared vision and action plan for a better, more sustainable future. We have more than 70 organisations involved (so far) to make sure this plan is drawing on the diverse and pioneering sustainability action already happening across Oxfordshire. The initiative isn’t about creating something entirely new – it’s about bringing together existing sustainability activity across the county into a common vision. What is One Planet Living? The initiative is using Bioregional’s One Planet Living principles to help shape these plans. One Planet Living is our vision of a world where everyone, everywhere lives happy, healthy lives within the limits of the planet. It’s been so inspiring to discover just how many Oxfordshire people share this vision. 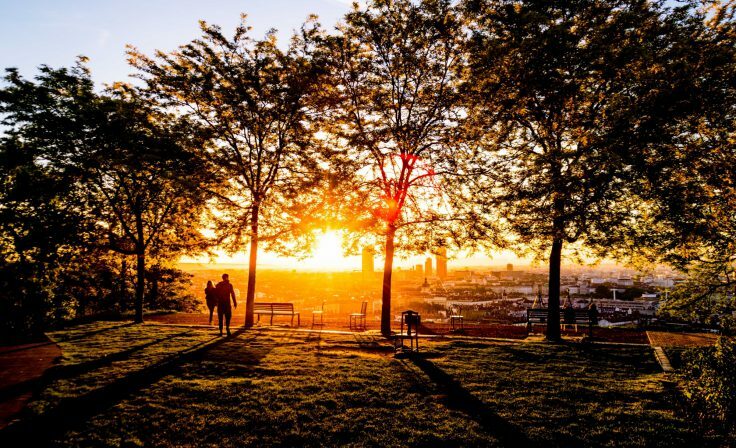 Bioregional has helped communities, cities, companies and schools all over the world to use these ten easy-to understand principles to create ‘One Planet’ Action Plans. Together the principles provide a common language to talk about sustainability that everyone can understand – and get on board with. We’re drawing on 15 years of one planet living experience to make sure that Oxfordshire’s plan is achievable - and that Oxfordshire people and organisations feel empowered to implement it. First, we look at where we are now. What is Oxfordshire’s impact on the planet – how much energy are we using, what resources do we need? We also look at the human side of the equation –to what degree are people happy and healthy? We have commissioned an ‘ecological footprint’ study that will help answer our questions about our impacts on the planet. We’ll be sharing this online when it’s finished. Next we’ll be asking what One Planet Living will look like in Oxfordshire. Using workshops, interviews and online engagement, we will work with as many people as possible to create a shared vision for our sustainable future. We will draw on inspirational One Planet Living stories from around the world to look at what more can be done and how we can put this vision into action. For example, at Singita Serengeti – a tourist destination and community of 800 people in Tanzania – they’ve How a One Planet tourist destination reduced plastic bottle waste by 90% If that can be done somewhere with limited clean drinking water, think what we can do in the UK! Outcomes – what do we want to achieve? Indicators – how will we measure progress? Actions – what will we need to do to achieve the vision? There are so many amazing initiatives already happening in the county. Together with everyone participating, we will work out how to support what is already happening and where we need additional action. This will form an Action Plan that can be a resource and a reference for anyone in Oxfordshire to use. We plan to launch it in June 2019 and it will be hosted the One Planet Oxfordshire page. 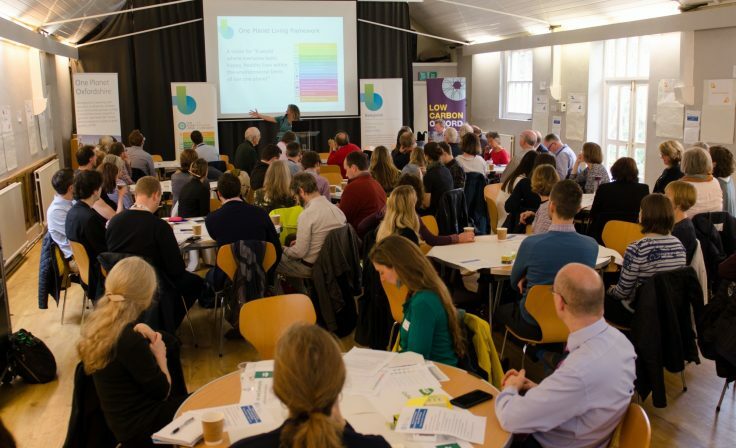 On 6 November, more than 100 people from organisations across the county came together to start creating the vision for what we want to achieve, and how we’ll measure progress. There will also be other opportunities to get involved. Stay up-to-date with the latest by visiting our One Planet Oxfordshire Facebook page. Together, let’s show the rest of the world what city-led sustainable transformation looks like. 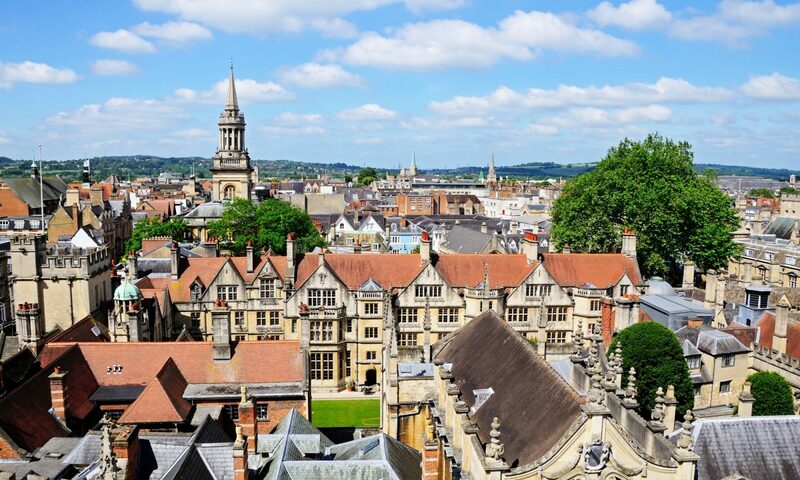 Oxfordshire is one of four city regions taking part in Bioregional’s One Planet Cities project funded by the KR Foundation. Alongside Durban in South Africa, Saanich in Canada and Elsinore in Denmark, the county will create its own vision and action plan for a better, more sustainable future. 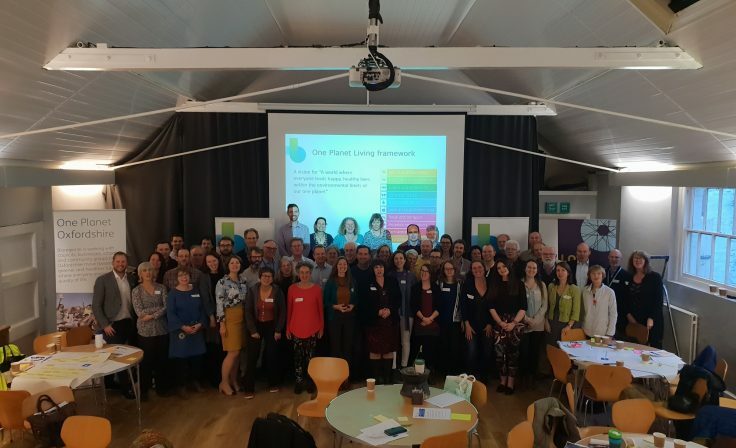 One Planet Oxfordshire is led by Bioregional Oxfordshire and Oxfordshire County Council with support from Oxford City Council, Cherwell District Council, the CAG Network and Oxfordshire Local Enterprise Partnership (OxLEP).